What do you get when you cross a mid-80's yuppie music video director with an Arsenal football thug and add in UB40? The Yob! The Yob was produced by The Comic Strip, which was a collective of alternative U.K comics including Rik Mayall, Robbie Coltrane, Peter Richardson, Alexie Sayle and Keith Allen who produced a variety of TV shows, specials and films. Some of the shows were great and still stand up today nearly 25 years later, while some were only passable and are showing their age and some were utterly awful, but, if nothing else, everything the Comic Strip ever made was experimental and intriguing. The Yob may be one the best films The Comic Strip ever produced. Using the body swap concept of The Fly, the film stars Keith Allen stars as the pretentious, coke-sniffing, money-obsessed video director Patrick Church, who while attending a UB40 gig (to meet with the band about directing a new music video), inadvertently steps into what he thinks is a portable toilet for a line of coke, but is in fact a David Cronenberg-like matter-transportation pod. His brain patterns are swapped with those of a football hooligan and mayhem ensues as he gradually becomes a racist, homophobic, boorish Arsenal football hooligan. UB40 appear throughout the film and Allen's pop star daughter Lily (just a toddler at the time) makes a very brief appearance in the pretentious music video sequence that Allen's character directs for UB40. The film was first screened on Channel 4 in the UK in March 1988, just as UB40 were about to release their 1988 self titled LP. As an added bonus, here is the video for the song "Hit It" that the band recorded for the film. The next Electric Avenue show will kick off on Saturday, April 13, 2013 at Characters NYC in the heart of midtown Manhattan with a headlining set by early 80's NYC ska stalwarts the Beat Brigade (who will be unveiling songs from their new album), pop/punk/ska upstarts Across The Aisle and the debut of Rude Boy George, which is a new musical project that I am part of with other members of my band Bigger Thomas, The Toasters and Across The Aisle, that performs ska, reggae and rocksteady versions of 80's new wave songs. Doors are at 8:30 pm and the cover is a super low $7! Check out videos of each band below including Beat Brigade performing "Armageddon Beat," Across The Aisle with Coolie Ranx performing "Beer Song" and Rude Boy George performing a rocksteady version of the INXS new wave classic "Don't Change." Since last fall, we've been undertaking this labor of love--doing it for free (the bands split 100% of the cover, nobody else takes a cut)--to support ska bands and their fans, and have some fun in the process. 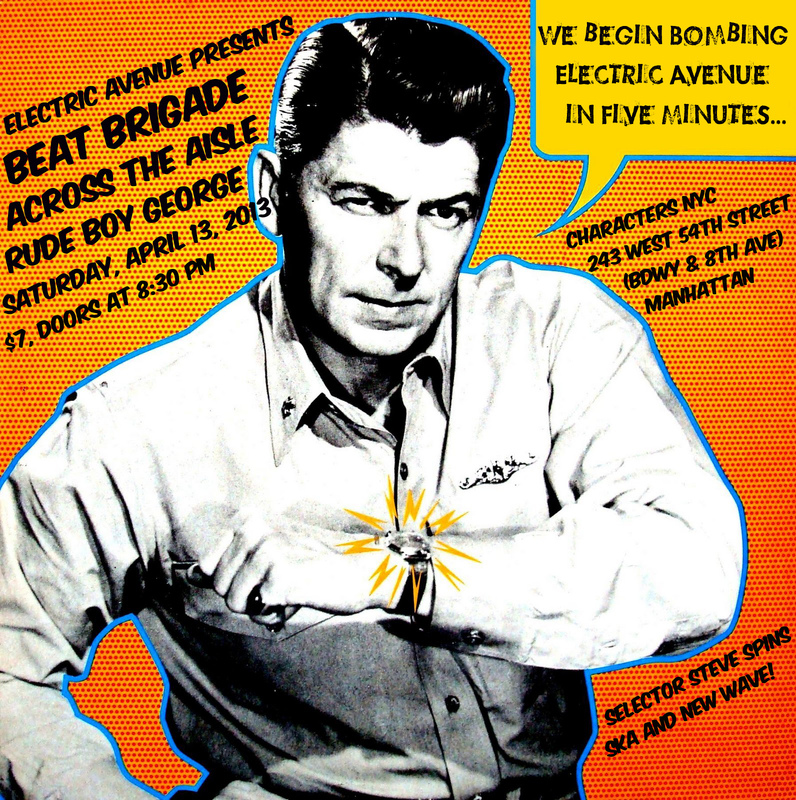 Electric Avenue shows already have featured some of the best acts on the Northeastern U.S. ska scene, including King Django (NJ), The Snails (Philadelphia), The Frightnrs (Brooklyn), Destroy Babylon (Massachusetts), Bigger Thomas (NY/NJ), Beat Brigade (NY), Doomsday! (NY), Los Skarronerros (Brooklyn), The Pandemics (Long Island), The Scofflaws (Long Island), The Bullbuckers (Wilmington, DE), The Reggay Lords (Brooklyn), The Copacetics (Providence, RI) and The Rudie Crew (NY) and The Royal Swindle (New Haven, CT). 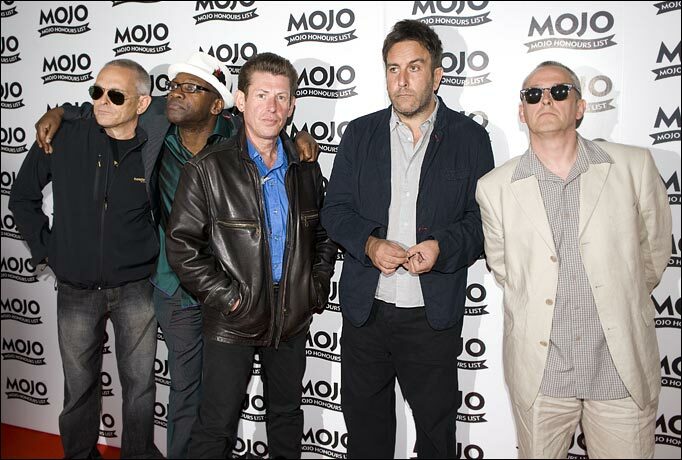 For New Yorkers who were lamenting that The Specials had skipped our fine city on their current U.S. tour, the band have just announced a summer outdoor show in New York City at Pier 26 at Hudson River Park on Wednesday July 17th! Tickets for the New York City show go on AmEx presale on Wednesday (3/27) at noon with the regular on-sale starting Friday (3/29) at noon. The band will be announcing more North American summer dates in the next few days. 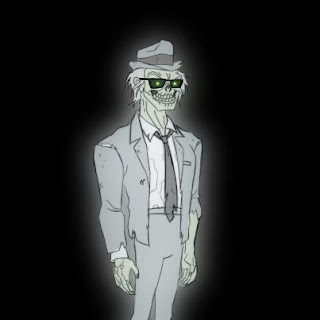 An upcoming episode of Scooby Doo Mystery Incorporated featuring a special ska zombie story line will air on the Cartoon Network this coming Tuesday March 26th. The episode titled "Dance Of The Undead," features a zombie ska group called Rude Boy and the Ska-Tastics (see picture above) who come back to life in order to turn people into zombies and make them dance to ska music forever! Even better, Dave Wakeling and his California-based version of the English Beat band recorded two new songs that feature prominently in the episode. 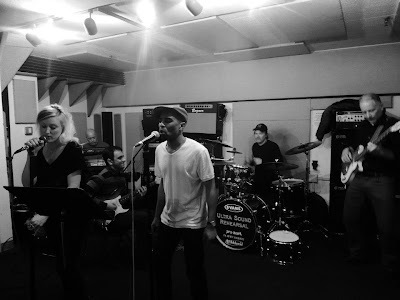 According to an interview Wakeling conducted with the San Francisco Examiner early last year, the tunes, will feature in a ghoulish battle-of-the-bands episode pitting Rude Boy and The Ska-Tastics versus recurring Scooby Doo musical combo the Hex Girls. “This was my first opportunity to do anything for television as a gun for hire, and I actually managed to record and mix two songs in 12 hours. It was like running at double speed with no brakes, but it was exciting, and Warner Bros. really loved them. So the zombies have a song called ‘You’re Dead Right, Mate,’ and the Hex Girls have one called ‘We’re the Good Bad Girls,’ which has a definite Ramones-Runaways vibe to it,” says Wakeling. “But frankly, I’m really happy I did it, because I’ve always loved ‘Scooby-Doo." 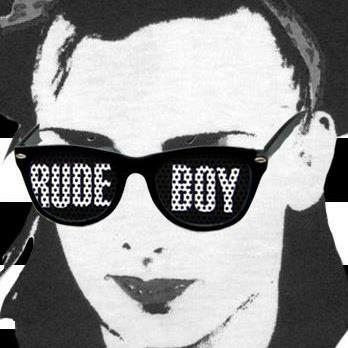 Below is a picture of Rude Boy who definitely has a zombie meets 2-Tone circa 1979-80 look. Don't forget to set those DVR's to record the episode which airs on the Cartoon Network at 5 pm on March 26th! 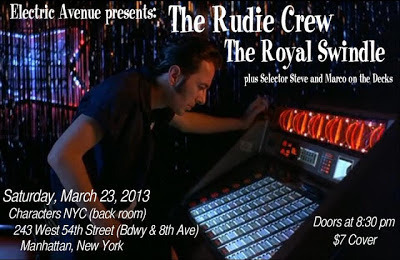 The next Electric Avenue show will kick off on Saturday, March 23, 2013 with a headlining set by veteran NYC reggae/ska band The Rudie Crew (featuring Roy Radics on vocals and led by El Hussey on sax and Dan Dulin on trumpet who cut their chops with a variety of NYC ska bands, most notably Skinnerbox and Stubborn All-Stars)and Connecticut-based ska and soul band The Royal Swindle. Doors are at 8:30 pm and the cover is a super low $7! Electric Avenue is a partnership between myself and my fellow New York City ska blogging pal Steve Shafer (Duff Guide To Ska). We have teamed up to present monthly ska and reggae shows at Characters NYC, a midtown Manhattan Irish pub (243 West 54th Street, between Broadway and 8th Avenue in Manhattan) with a big back room ideally suited for live music. Since last fall, we've been undertaking this labor of love--doing it for free (the bands split 100% of the cover, nobody else takes a cut)--to support ska bands and their fans, and have some fun in the process. 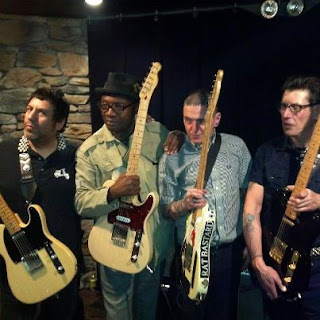 Electric Avenue shows already have featured some of the best acts on the Northeastern U.S. ska scene, including King Django (NJ), The Snails (Philadelphia), The Frightnrs (Brooklyn), Destroy Babylon (Massachusetts), Bigger Thomas (NY/NJ), Beat Brigade (NY), Doomsday! (NY), Los Skarronerros (Brooklyn), The Pandemics (Long Island), The Scofflaws (Long Island), The Bullbuckers (Wilmington, DE), The Reggay Lords (Brooklyn) and The Copacetics (Providence, RI). Roddy Byers & Lynval Golding Kick Off The Specials 2013 US Tour! Roddy Byers of The Specials kicked off the band's 2013 U.S. tour in style last night, with a solo gig at the Cobra Lounge in Chicago where he was backed by his band mate Lynval Golding and members of The Crombies, a Chicago-based band featuring members of Deal's Gone Bad who play 2-Tone covers. The band played Roddy's solo material and dropped a few choice tunes from The Specials into the mix. Check out smoking versions of Monkey Man and one of Roddy's own songs Blue's Attack. 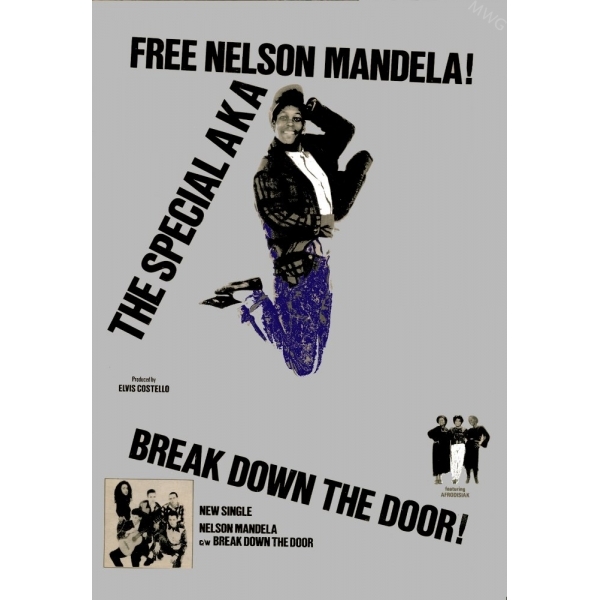 The Special AKA Released "Free Nelson Mandela" 29 Years Ago This Month! It's hard to fathom that The Special AKA released 'Nelson Mandela' as a single in March 1984! 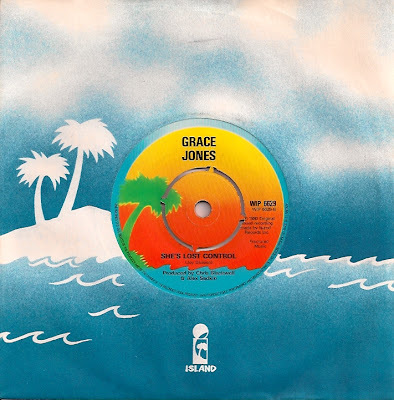 Written by Jerry Dammers for the In The Studio album. The record shot to No.9 on the chart, and Dammers was soon busy organising the Artists Against Apartheid' concert on Clapham Common. The song is such a touch point of my youth and of my growing political consciousness. It is also a powerful reminder of the role that music can sometimes play to right immense wrongs, and in this unique case, change the course of world politics for the better. The single brought the plight of Mandel's imprisonment a to the attention of many for the first time (and was regularly played at divestment protests that took place at my university campus in 1987). If 'Ghost Town' was Dammers greatest commercial success, 'Free Nelson Mandela' was his greatest artistic achievement, although he rarely gets the credit for it he deserves. Below is the the band's only public performance of the song on Top Of The Pops in early April 1984 and the only one featuring vocalist Stan Campbell, who quit the band shortly before the release of the single and who had to be talked into making this one appearance to promote the song. "It was a bit like the end of The Specials. When 'Nelson Mandela' came along, the band was falling to pieces. But I had this idea that I knew was really important, like 'Ghost Town.' so there was that desperation to get it down on tape, before the thing disintegrated completely. I wrote the tune to 'Nelson Mandela' before the lyrics. By that time, especially in London, rock music was dead. It was all electro-pop, hip hop, jazz or Latin. And also, Joe Hagen had this African club at Gossip's. I was inspired by the spirit and positivity of that African music. I was trying to get in a few Latin rhythms, but also township jazz. It was a very simple melody, three notes: C,A and E. That meant the public could sing it. And then I went to Nelson Mandela's 65th birthday party at Alexandra Palace. I'd never really heard of him, to be honest. Various bands sang about him, particularly Julian Bahula. And that's where I had the idea to put this message into this tune I had hanging around." Below is a clip of the band performing the song on The Tube in 1984 with Elvis Costello, Dave Wakeling, Ranking Roger and Rhoda Dakar on lead vocals for the departed Campbell. Below is a rare clip from the 1984 Channel 4 TV program Play At Home documentary featuring the first run-through rehearsal of of the song with an introduction by Jerry Dammers ("basically written for this program"). 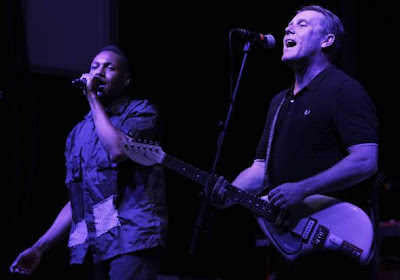 If you have caught Dave Wakeling's version of The English Beat during any of their coast-to-coast U.S. tours over the last five years, then you no doubt have had the pleasure of enjoying the singing, toasting and stage moves of the band's resident toaster and MC, Antonee First Class. He complements Wakeling's crooning with crisp toasts and shines on his freestyle chats and his own songs like the track 2-Tone, which the band should really record and release. Stream the track below and visit iTunes of Amazon.com to purchase a copy of the song. For more information visit www.antonee.net.